In Sports Medicine Acupuncture®, we emphasize an integrated model, incorporating the best from the traditions of Western Orthopedics/Sports Medicine and Traditional Chinese Medicine. Maybe we learn about trigger points and then everything we see is through the lens of trigger point referral patterns. Or, maybe we learn how to assess for muscle imbalances and then everything involves treatment directly at the level of these muscles to correct the imbalance. Or, maybe we learn to diagnose orthopedic conditions and injuries and then everything involves local needling techniques for the fixed pain site. It is easy to get myopic when learning new skill sets and, besides that, it can be challenging to integrate these new skill sets into the already complex channel system that we work with. This post highlights the process of integrating these traditions to give the acupuncturist an example of how they can inform each other to produce more than the sum of their parts. Patellofemoral syndrome, a condition commonly referred to as ‘Runner’s Knee,’ will serve as the backdrop for this exploration and it will serve as an introduction to treating this injury for SMAC students taking Module III (Lower Extremities) in the New Year. The following description of Patellofemoral Syndrome is adapted from Matt Callison’s soon-to-be-released book Sports Medicine Acupuncture: An Integrated Approach Combining Sports Medicine and Traditional Chinese Medicine. “Runner’s knee” is a common term that generally describes the condition of patellofemoral syndrome. As the knee joint flexes and extends, the patella tracks in the femoral groove or trochlea, which is protected by the thickest cartilage of any joint in the body and lubricated by synovial fluid. The cartilage does not have the same blood supply that bone does, as it relies on patellar motion in the femoral groove to wash waste products out and allow nutrients from the joint’s synovial fluid to enter the cartilage. Patellofemoral syndrome occurs from the repetitive stress of the patella moving on the femur. Repetitive jumping sports and distance running, especially running on steep terrain, can exacerbate the condition due to increased pressure between the joint surface of the patella and the femur. 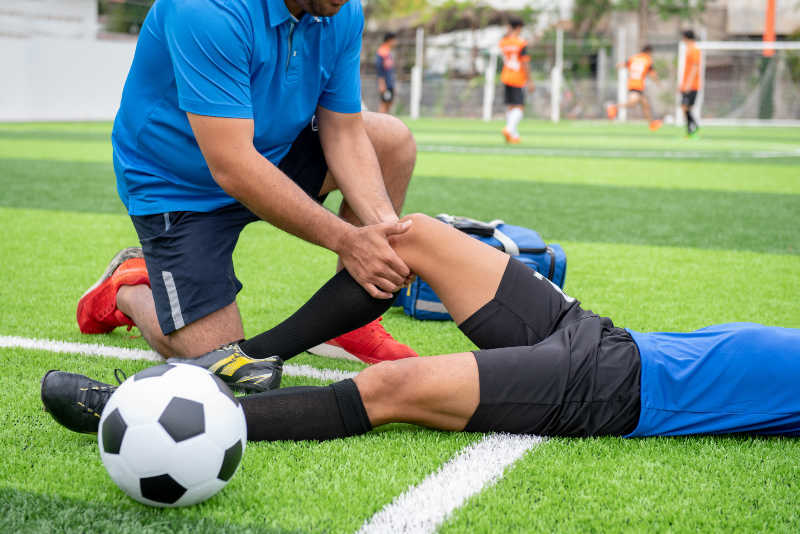 Patellofemoral syndrome will frequently present with a lateral glide and/or a laterally tilting patella, which means that the patella moves laterally with contraction of the quadriceps. An x-ray can detect a lateral translation of the patella (Fig. 1). This malposition can lead to increased pain and deterioration of the patellar cartilage. Fig. 1: Patellofemoral syndrome. A) Normal patellar position. B and C) Lateral translation of the patella is indicative of patellofemoral syndrome and probable damage of the articular cartilage. Learning to assess for the various muscle imbalances associated with patellofemoral syndrome and chondromalacia involves a new skill set for most acupuncturists. Some aspects of this assessment are highlighted in the video below. This is valuable information for the acupuncturist for an important reason: it allows us to correct the biomechanical imbalances associated with the patellar position and movement, improving tracking and reducing wear and tear. It is also the case that, as you are testing for these muscle imbalances, you are also testing the proper functioning of the channel system. 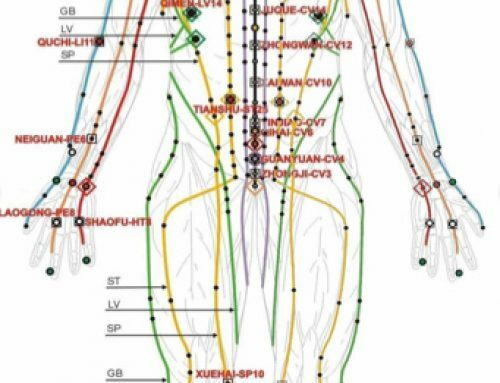 What this means is that the information we gain from a proper TCM diagnosis adds insight into why these muscle imbalances exist, and also, assessment of these channels through palpation, manual muscle tests, and orthopedic evaluation adds to our overall understanding of the functioning of the zangfu and jingluo. In other words, these tests, like tongue and pulse, are part of the complete assessment of the channel system. ﻿ Re-read the above mechanisms from Matt Callison’s book, and let’s go with mechanism 1: the quadriceps pulling improperly on the knee. 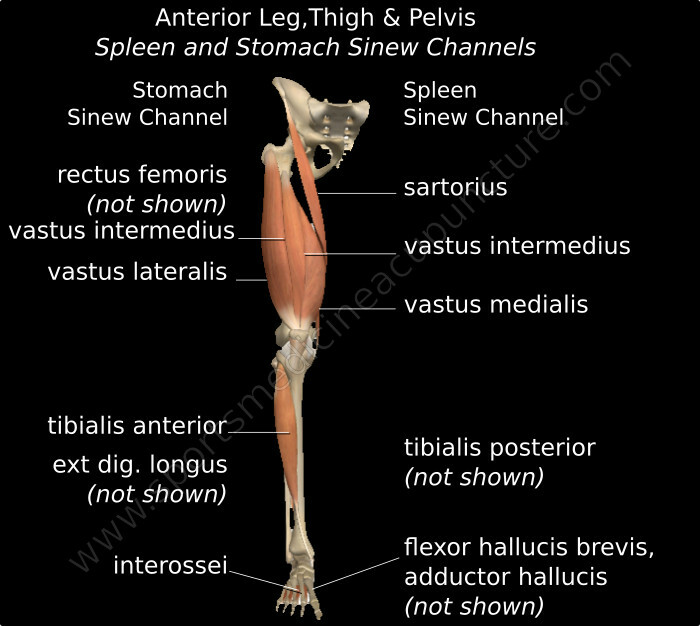 This primarily involves the vastus lateralis muscle, a muscle of the Stomach channel sinews; and the vastus medialis, a muscle of the Spleen channel sinews (Fig. 3). These channels are an internal-external (biao li) pair; the way these channel sinews work together to balance the patellar movement serves as a mechanical representation of these channels’ actions. You can test how these channels relate to each other in terms of patellar tracking and patellar balance by assessing the firing order between these muscles. Proper knee mechanics require the vastus medialis to fire slightly before the vastus lateralis. This phenomenon, referred to as the ‘screw home mechanism’ is important as it helps the knee lock during weight bearing. We discuss the biomechanics of this in SMAC and this mechanism is also described in the video included in this post if you are interested exploring it more. For now, you can consider assessing this when a patient tells you that their knee sometimes buckles with weight bearing and/or pain that is diagnosed as patellofemoral syndrome. When assessing the firing order of these two quadriceps muscles, you are testing the relative balance between these muscles and between the two channels, those of the Stomach and Spleen. When you place your hands on the quadriceps, one over the vastus medialis motor point at extra point baichongwo, the other on the vastus lateralis motor point at xinfutu (Fig. 4), you are instantly starting to assess the channels. For instance, what is the quality of the tissue you are palpating? Is the vastus lateralis hard, dense and rigid? Does it seem to be pulling excessively upward on the lateral portion of the patella? Does it seem particularly ‘jumpy’ and overactive when the patient performs knee extension, causing this muscle to fire before the vastus medialis (you should check about 10 times and look for the average)? This is very useful information in relationship to the functioning of the knee joint, but you have now also obtained information that can focus other findings from the patient. Does this patient have acid reflux, belching, or other ‘Rebellious Stomach qi‘ signs and symptoms? Are these signs worse when they are irritable or upset? Are there signs that the Liver is overacting on the Stomach? The point is that the condition and mechanism affecting the knee is frequently a reflection of, or at least related to, the larger channel and organ system. It is useful to understand this. Let’s say that you treat this patient using the appropriate local, adjacent and distal points. You prescribe appropriate exercises. You prescribe an appropriate herbal formula. After this, the next patient comes in with the same condition. But this time it’s different: when you place your hands over these two muscles, you do not notice the rigid, fibrotic findings at the vastus lateralis. Instead, the vastus medialis seems particularly weak. Maybe you also notice that this patient has foot over-pronation (mechanism 2 Fig. 2). The channel sinews associated with the Spleen are weak, and, assuming you have these tools at your disposal, you can observe this, feel it and measure it (we teach this in Module III of SMAC). Could it be that this patient also has signs and symptoms of Spleen qi deficiency? Would you treat them differently with acupuncture, exercises, and herbs than you would the previous patient with the same condition, but different findings? There might still be a relative excess at vastus lateralis compared to deficiency at vastus medialis. But it would not make as much sense to use heavy reducing technique at the vastus lateralis MP with this patient. Instead, a tonifying technique would be indicated at the MPs of the weak Spleen channel sinew muscles; in addition, it would be appropriate to use tonification techniques at the distal points along the Spleen channel to help nourish the associated channel sinews. Prescribing exercises which will strengthen (tonify) would also be indicated, as would herbs to tonify the Spleen, especially if there are significant Spleen deficiency signs. Same disease, different treatment; different disease, same treatment. The two examples above would be an example of the first; same disease (knee pain, but more specifically patellofemoral syndrome), different treatment. One final thought is to consider the Kidney network. Looking once again at the description from Matt’s book, you can take note that the patella glides in a region that is protected by thick cartilage and nourished and lubricated by synovial fluid. This ‘thick fluid’, a component of the jinye, is associated with the Kidneys. If there are signs and symptoms of Kidney deficiency, then it would be the case that nourishing this network would be part of the treatment plan. This post focused on how palpation and Western orthopedic assessment not only informs the acupuncturist about the injury, but gives insight into the channel system as a whole. There is great value for us in learning Western orthopedic evaluation. But this information takes even deeper meaning if we can see how it fits together with our profound system of medicine. 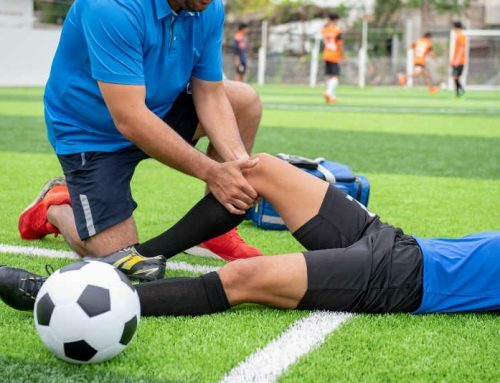 Check out the link if you want more information on treating patellofemoral syndrome, and sign up for Module III of the Sports Medicine Acupuncture Certification starting in January, 2019. Not only will we cover this injury and many other knee and lower extremity injuries, but we will explore the underlying channel imbalances, teach comprehensive treatments, and train you on prescribing corrective exercises to take your practice to the next level! 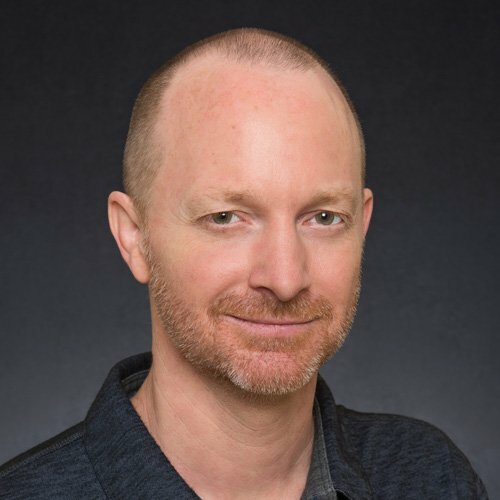 Brian Lau, AP, C.SMA is has been on the faculty of the Sports Medicine Acupuncture Certification since 2014, and also teaches foundation courses with AcuSport Education. Brian lives and practices in Tampa, FL where he owns and operates Ideal Balance: Center for Sports Medicine Acupuncture (www.ideal-balance.net). He blogs on anatomy and TCM at www.sinewchannels.com.